A classic martini is a drink that’s tough to improve upon. If you’re a fan of dirty vodka martinis, have at them; to me, the union of gin and sweet vermouth, with a big twist of lemon, is all I need. But some drinks take the crisp, clean template of a perfect martini and take it in another direction—like the “Sherry Fine” by Nick Bennett, of Porchlight in Manhattan. It’s closer to a 50/50 martini, which splits gin and vermouth in equal proportion. Bennett dials back the gin, while employing yellow Chartreuse for additional herbal depth; Dolin Blanc vermouth is joined by light, dry fino sherry, which contributes a nutty character. The result is a superbly drinkable cocktail with the initial bite of cold, herbal spirit that I crave from a martini, but gaining a soft body through the Chartreuse, and a distinctive savory finish courtesy of the sherry. While every good martini-style cocktail is clean and light-bodied, the Sherry Fine is a bit lower in alcohol than most, which can be an asset once you try this drink—because we promise, you’ll want another. 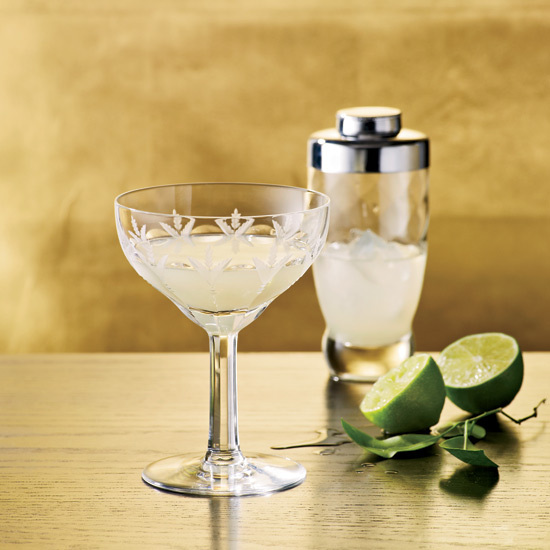 Combine all ingredients in a cocktail glass with ice and stir until very well-chilled. Strain into Nick and Nora glass. Twist a thick lemon peel over the top to spray its citrus oils on the surface of the drink, and discard.